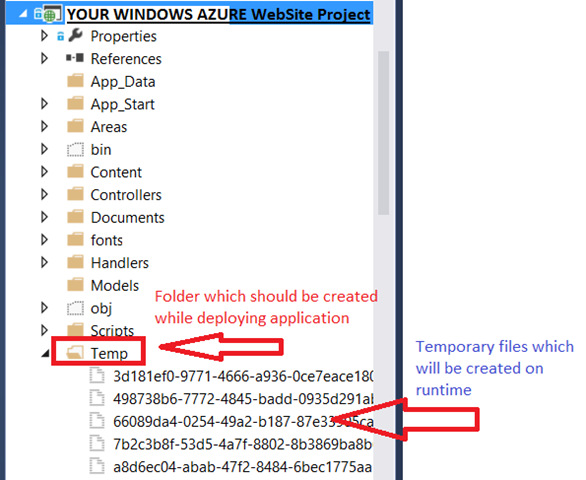 Damir Dobric Posts » How to Distribute Folders by Deploying Windows azure WebSite? 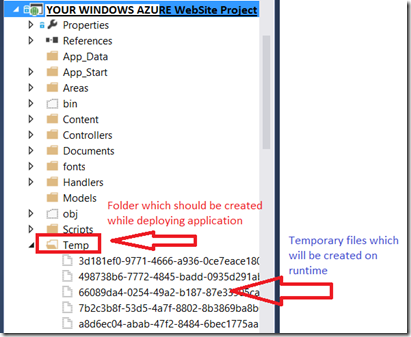 How to Distribute Folders by Deploying Windows azure WebSite? Sometimes there are situations when your Windows Azure Web Site is requiresdto read or write some files to/from folders which are directly below your site root. Everything from you project folder structure will be deployed here.Almost everything, because folder ‘Temp’ and possibly some other folders will not be deployed. you will get back FALSE, which obviously means that this folder does not exist. 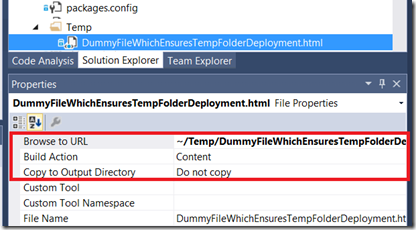 Deployment process will not deploy the folder if it is empty.